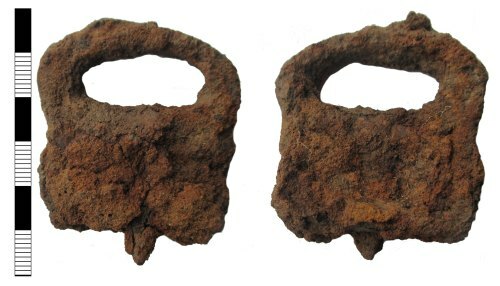 Corroded iron buckle of uncertain date. The object is in poor condition and encased in corrosion. It is 43mm long, 41mm wide, 13mm thick and weighs 31.52g.